Lemon Meringue Pie is my husband's favorite dessert. I usually make it at least once a year for his birthday or father's day but decided it would be his Valentine's Day treat this year. Rather than make the same version I have made for years, I decided to pull out the mini tart pans he bought me for Christmas and make Lemon Meringue Tarts. I sold a stack of rarely used cookbooks during the kitchen renovation including the one that had my lemon meringue recipe in it. Seems like I remember thinking I could easily find the recipe online when I decided to sell that one but I couldn't find it. So, off to allrecipes.com and I found the recipe below. The perfect balance between sweet and tart, his one is even better than my tried and true recipe so it is all good! I went with Dorie's Sweet Tart Dough for the crust and it was the perfect vehicle to hold the silky lemon curd. A pillowy cloud of meringue added the crowning touch. I even made some candied lemon zest to scatter across the tarts. These were delicious and beautiful! Note: I made a full recipe for the crust and it worked perfectly for 4 mini tart pans. I halved the filling and meringue recipes and again had the perfect amounts. Alternately, you can press the dough in as soon as it is processed: Press it evenly across the bottom and up the sides of the tart shell. You want to press hard enough that the pieces cling to one another, but not so hard that it loses its crumbly texture. spoon. Bake the crust about 10 minutes longer to fully bake it, or until it is firm and golden brown, brown being the important word: a pale crust doesn’t have a lot of flavor. (To partially bake it, only an additional 5 minutes is needed.) Transfer the pan to a rack and cool the crust to room temperature, and proceed with the rest of your recipe. Kudos for using Dorie's sweet crust recipe! These look great! 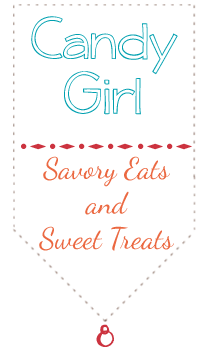 I love that sweet tart crust from Dorie! It really is a wonderful crust! How sweet of you to bake these yummy tarts for your husband!They look perfect! What a beautiful lemon tart! Lemon is one of my favorite flavors!! They look soooo good! I love anything glossy and white! They look amazing! You did such a beautiful job. The tarts look just perfect. 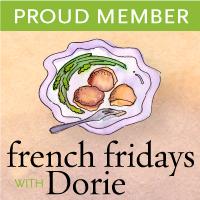 I have never made a lemon meringue tart, but will make note of it in my copy of Dorie's book. Thank you a lot for your nice comment and your visit on my blog.